Studies from Harvard Business Review to statistics from the US Labor Department have shown diversity in the workplace can lead to increased innovation and creativity, reduce turnover, capture more of the market, and yield countless other benefits for businesses. If you are seeking to integrate more diversity into your workplace, hiring a foreign national could be a solution for your business. An H-1B visa is an option for hiring a foreign national and it works like this: The H-1B is a temporary (nonimmigrant) visa category that allows employers to petition for highly educated foreign professionals to work in “specialty occupations” that require at least a bachelor’s degree or the equivalent. Typically, an H-1B visa is initially granted for three years, and may be extended for a maximum of six years. The H-1B visa application process is a lottery. There are 65,000 visas available and an additional 20,000 for individuals with master’s degrees. Between 2008 -2019 that cap was reached within the first five days the application process was open. Because it is a highly competitive process and many employers seek H-1B employees, there are several things that can be done to improve the odds of being selected. The H-1B lottery only opens to accept applications once a year. Typically, it is the first week of April. 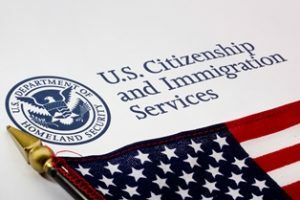 The United States Citizenship and Immigration Services, (“USCIS”) has increased scrutiny of all types of visa application including H-1B visas. We can work with you to prepare well before applications are due to make sure your supporting documentation is strong and less likely to be flagged by USCIS for a request for evidence. Additionally, we can work with you to prepare the application to a level of completeness well before the application submission date and therefore submit the application packet as soon as the application process opens for the year. If this is something that may benefit you please contact Christina Back at 937-223-1130 or via email at cback@pselaw.com to set up a consult to discuss.